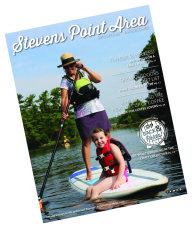 Stevens Point Area | Blog | Which 'Wich? Uncle Adi&apos;s is a drive-through only restaurant brand new to the Stevens Point Area that opened in November of 2018! Greek favorites like gyros, bureks, and baklava are their specialty. Must try: Be sure to try their spin on a traditional gyro- the chicken gyro! Top it with whatever extras you desire by adding more cheese, tzatziki sauce, kalamata olives, and more. This hometown favorite is conveniently located in Downtown Stevens Point! With craft cocktails and 40 beers on tap, you can pair your sandwich with your favorite alcoholic drink. 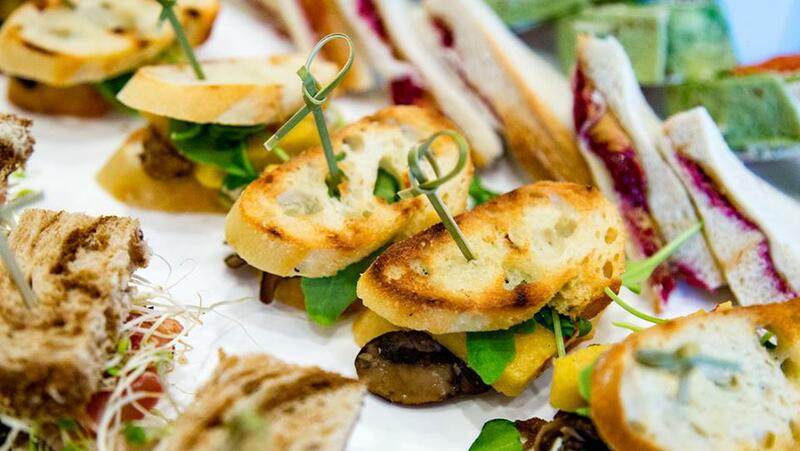 Must try: Go meatless without the flavor compromise with the Grilled Portabella Sandwich! This cozy spot in Downtown Stevens Point is complete with a coffee house on one side and a cafe on the opposite. Additionally, the cafe side has both breakfast and lunch so you can get the best of both worlds! Must try: For breakfast, try the Apple Crunch, made with local ingredients, and indulge in the unique and delicious Smoky Marsh Melt for lunch! McZ&apos;s Brew Pub is definitely worth the drive to Rosholt! This family-friendly micro-brewery features craft beer and wine along to pair with their delicious menu. Must try: Everyone will find a sandwich they love with McZ&apos;s many panini options! Go traditional with the grilled cheese panini, or get creative with the Italian panini. The Landmark in Amherst, in their words, is so much more than a coffee shop. A wide range of food and beverage options from this small shop will be sure to have something for everyone! Must try: Back by popular demand is the Apri-jack sandwich- go see what all of the hype is about for yourself! Downtown Stevens Point is home to this unique and welcoming restaurant! With a diverse breakfast and lunch menu, The Wooden Chair will keep you coming back for more each time you visit. Must try: From their lunch menu, indulge in The Crabby Guy sandwich, served on an English muffin, or try their Waffle Sandwich, served on a Belgian waffle! Check out this blog about the best places to eat if you have food allergies, this blog for the best fish fries in the area, or this blog for the best pizza in town! Or, visit our blog page for a full range of area news, events, and activities!